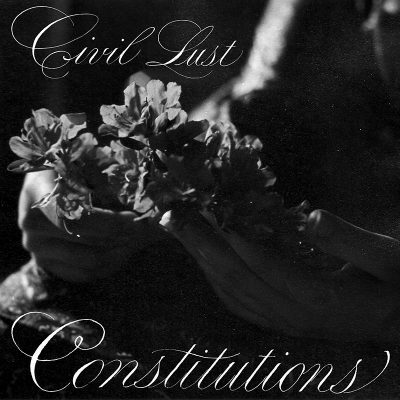 Civil Lust are a dark, sparkling gem that popped up on the local scene in 2016, and their anxious, broody sound is in good company because, as I’m sure everyone is aware, goth is reviving—it has been for a few years now. Every day, I am grateful that I don’t have to worry about buying tickets to another The Soft Moon show just for it to be canceled again, because Civil Lust, Fossil Arms and Choir Boy are local and play often. Civil Lust have the potential, I think, to become one of my favorite bands in town. The duo of Christian Riley and Isaiah Michael make a tight, crafty pair, and they deliver a pretty solid debut here, with every song emerging out of deep layers of murky, opalescent reverb, careless cries of inarticulable feeling and compelling, dark-edged guitar parts.